Beginning in April, Dr. Sarah Yoon will be joining our practice to work alongside Dr. Hsu. She brings to Hsu Orthodontics many years of experience in both Orthodontics and General Dentistry. She is a graduate of the University of Pennsylvania for both her dental degree and Orthodontic training, and she graduated from Oregon State University with a Bachelors of Science in Biology. Prior to becoming an Orthodontist, she practiced as a general dentist for four years. She is board certified by the American Board of Orthodontics, and she is a published author in the American Journal of Orthodontics and Dentofacial Orthopedics. Dr. Yoon has a wide range of experience in all types of braces, she is very experienced in Invisalign and she loves to treat young children. 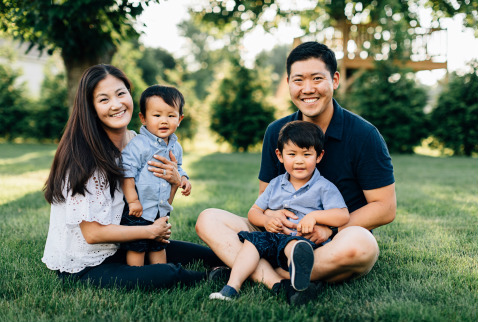 Dr. Yoon is happily married to her husband Kevin, and together they have two young boys. Her main passion in life is dentistry and the practice of Orthodontics, but she also enjoys cooking, spending time with her family at playgrounds, and visiting the beach. She is excited to meet you all, and she will take excellent care of our patients!